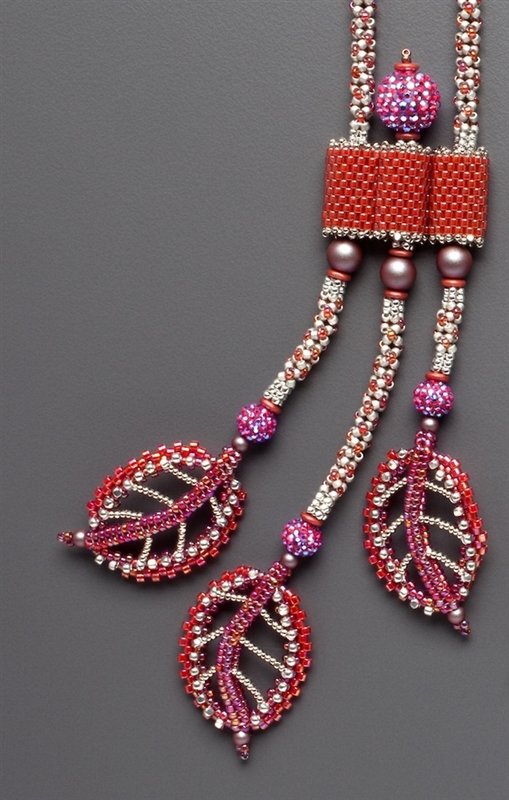 Designed to celebrate the beautiful fall foliage but suited to year-round wear, this lovely necklace features unique leaf structures constructed using a combination of herringbone and peyote stitch. The beaded chenille neck strap can be made short or long to suit the wearer's preference and is finished off with a beaded toggle closure. 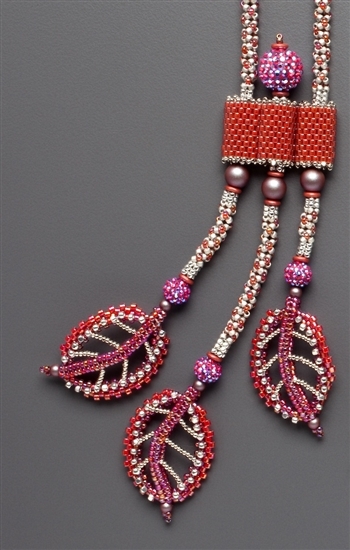 Features sparkling Swarovski pave beads. This color way also features sterling silver plated seed beads (hence the slightly higher price than the other colorways). Light siam & silver colorway.